The product is suitable for gluing and sealing and provides perfect adhesion to many difficult surfaces such as metal, plastic, rubber, glass and Perspex. It is very quick to form a skin, fast curing, and extremely flexible. 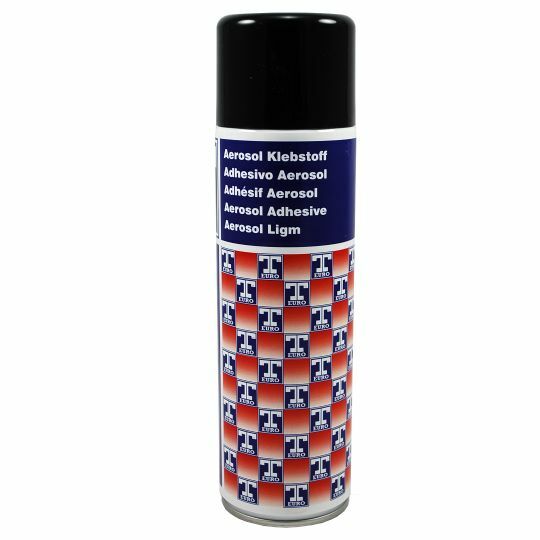 Adheseal contains no solvents, so Adheseal does not shrink, crack or harden. Neither does the product contain isocyanides. Adheseal cures under water, and will not be affected by normal levels of chlorine or salt. It can also be painted over easily with most modern paint systems, even wet-on-wet, saving an enormous amount of time. Adheseal is also perfectly suited for application between two metal parts and can be spot welded through without burning away or spitting. The surface must be clean, dry and free of grease. Clean surfaces with Innotec Multisol or Innotec Seal and Bond Remover. Clean plastic surfaces with Innotec Repaplast Cleaner Antistatic. Plastic, porous or extremely difficult surfaces must be pre-treated with Innotec Repaplast Primer New Formula . Apply Adheseal directly from the cartridge using a glue gun (InnoQuip Pro 2000 Gun or Easy Grip Gun). When gluing, join the parts together within 10 minutes. 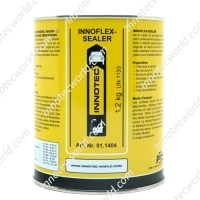 Remove any excess when Innotec Adheseal is still wet with a damp sponge. – Can be applied and cures underwater. – Very high degree of adhesion to most surfaces. – Suitable for application before spot welding. 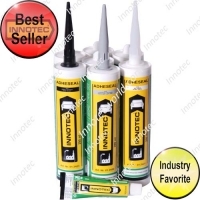 – Suitable for almost all modern paint systems. – Can be sprayed wet-on-wet. – Temperature range of -40°C to +100°C. Also Available in a small 50ml Tube in black.